Can you feel it? Are you in the spirit of the season? ‘Twas the night before Christmas and all through the house… well, you know how that one goes, right? Listen closely now. Can you hear it. Can you hear the sleigh bells off in the distance? Can you hear Santa… Ho! Ho! Ho! Try to recapture that childhood joy that you felt on this eve every year back then. Try to be that child for just a moment or two this evening. Tonight, when you lay your head down on that pillow after spending time with your own children and grandchildren, try to remember how difficult it was for you to fall asleep on Christmas Eve when you were a little lad or lass. For just a few moments… be that child again. It won’t hurt you none. I promise. 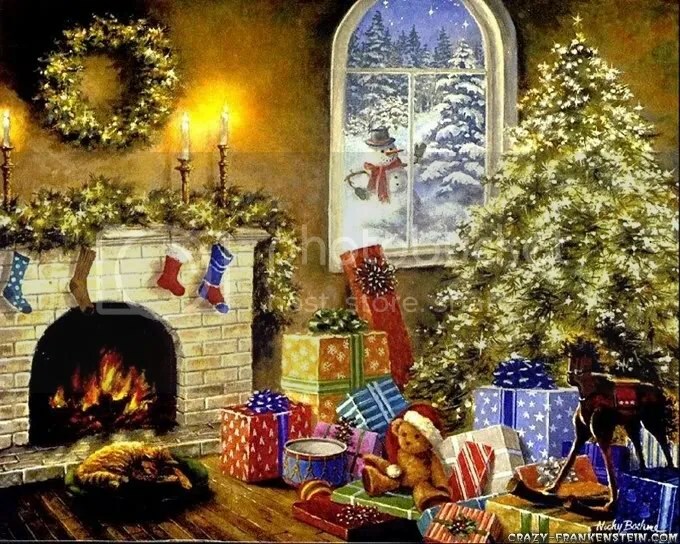 Posted by V. T. Eric Layton on 24 December 2010 in Reminiscences and tagged childhood, children, Christmas, memories, Santa Claus. December 23, 1823 – A Visit from St. Nicholas, also known as The Night Before Christmas, is published anonymously. Hard to believe this little ditty has been around so long! I think I’ll take your advice and be that child again – at least for a little while. Blessed Yuletide to you and the kitties, Eric! Hey, by the way, you should run over to Gravatar and set yourself up an avatar. You can use it at many sites on the Internet; here for example. Hey, Merry Christmas Eric! I got my 11.3 install done, with a lot of sweat and curses, but I’m more or less up and running now. I always keep a pocket Linux (or Live CD) handy in case an install goes south on me. I can always get online with SLAX on the USB.